Za tokratni izziv pri Creative Moments sem izbrala prekrasno sponzorsko štampiljko (Winter set of 4 digital stamp), ki mi je omogočila izdelavo kar 3 različnih voščilnic. Nadvse sem uživala. Vabim vas, da se nam pridružite v izzivu in se potegujete za bogate nagrade. Tudi tokrat imamo več sponzorjev, ki bodo srečne izžrebance nagradili s svojimi štampiljkami. Clasic DT open Challenge: #12, ATG - Dec.
Čudovite so. Barvanje ti tako gre vrhunsko od rok. Potem pa še lepa postavitev in primerni dodatki. Marjeta are you already follower of our challenge group ? If not please sign up to participate. 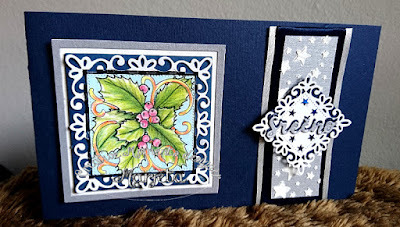 Your cards are very beautiful, especially those with the holly leaves (smile). Thank you so much for joining us at Carlin's Kaartenparadijs challenge. 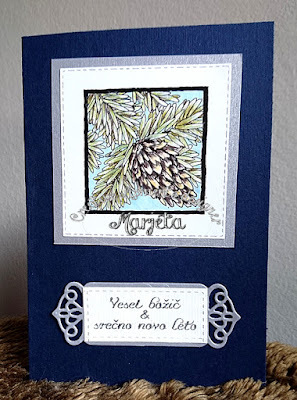 Thanks for sharing it with us at 2Sistersontehblog. 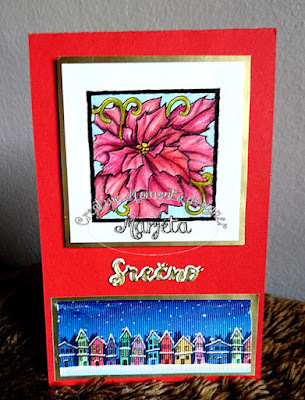 Gorgeous Christmas card .Thank you for sharing with us over here today at the Classic Open Design Team Challenge and best of luck with your entry. 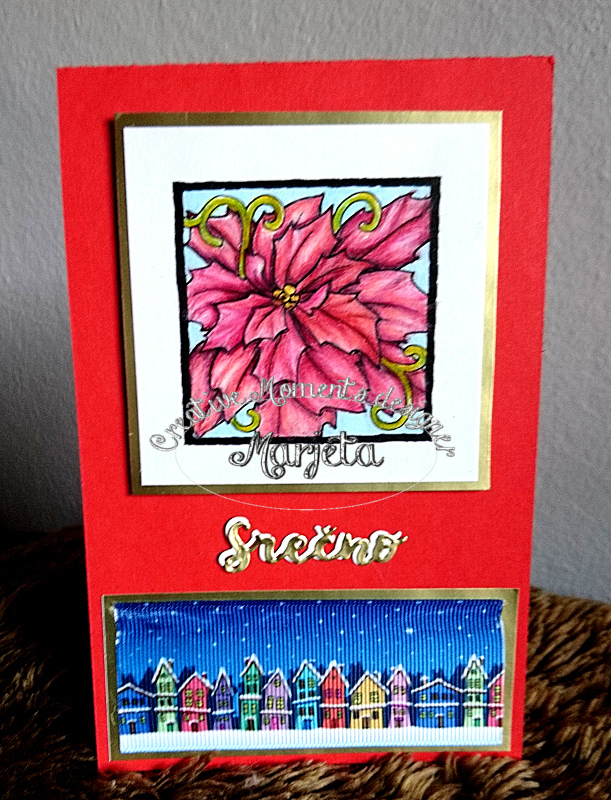 What a delightful collection of festive cards and the images are so lovely! 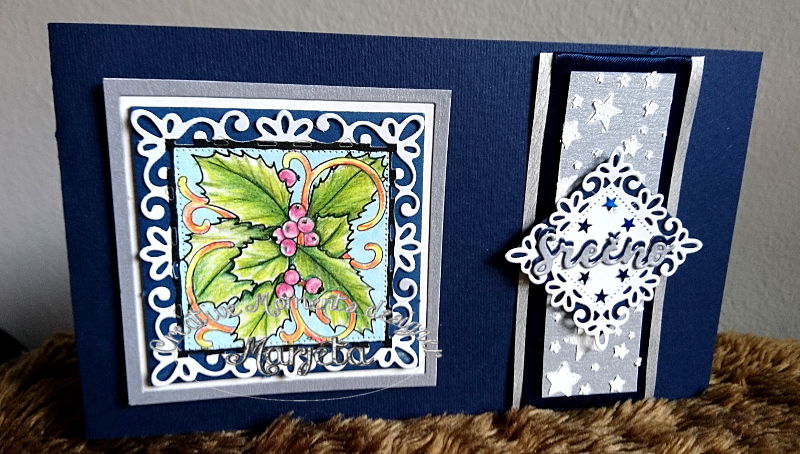 Wishing you a happy and peaceful Christmas, and thank you for sharing with us at ABC Christmas Challenges. Great card. Love the colours!! !